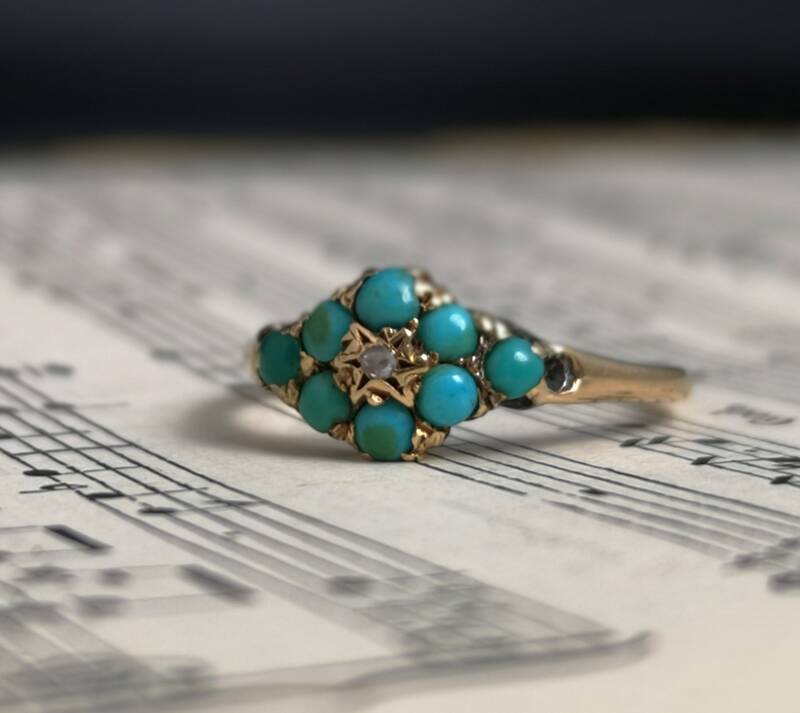 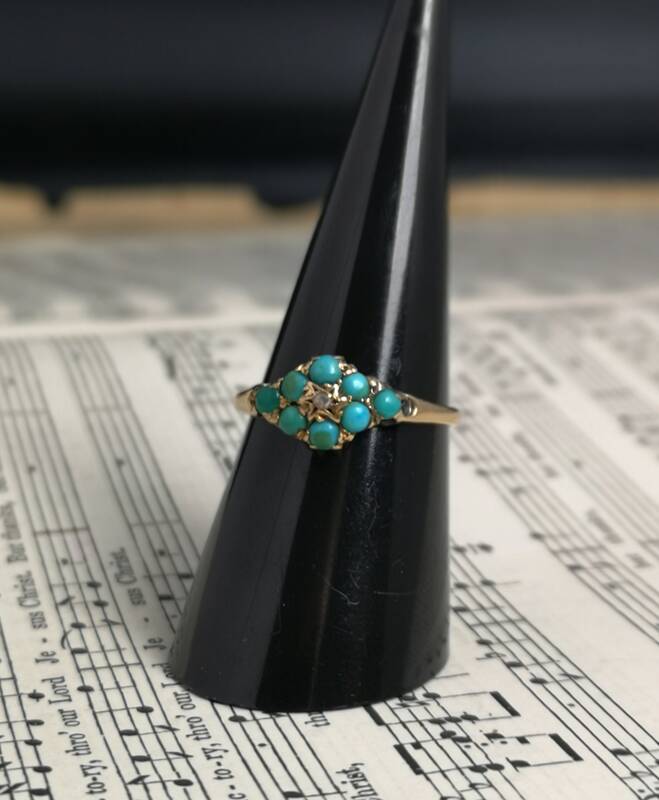 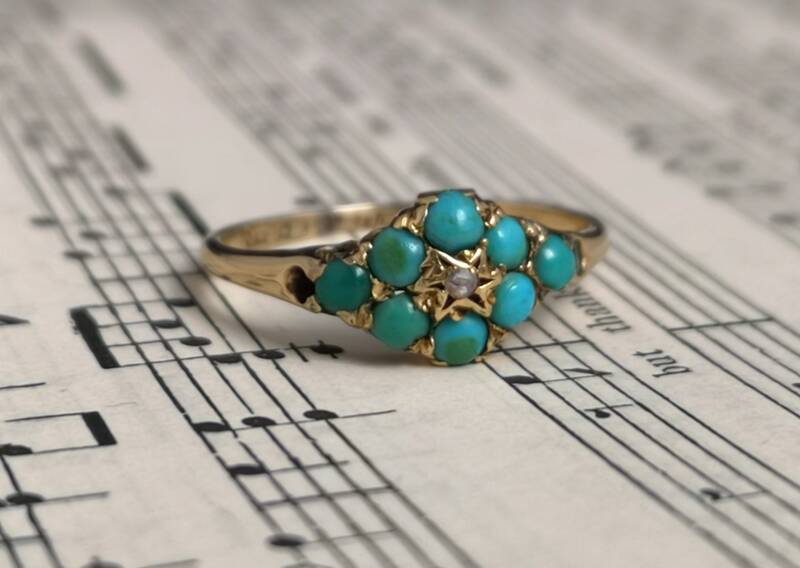 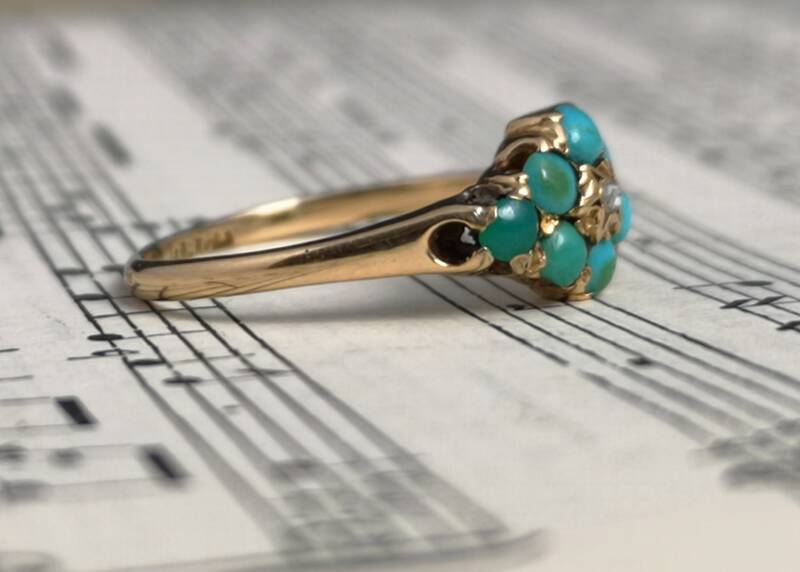 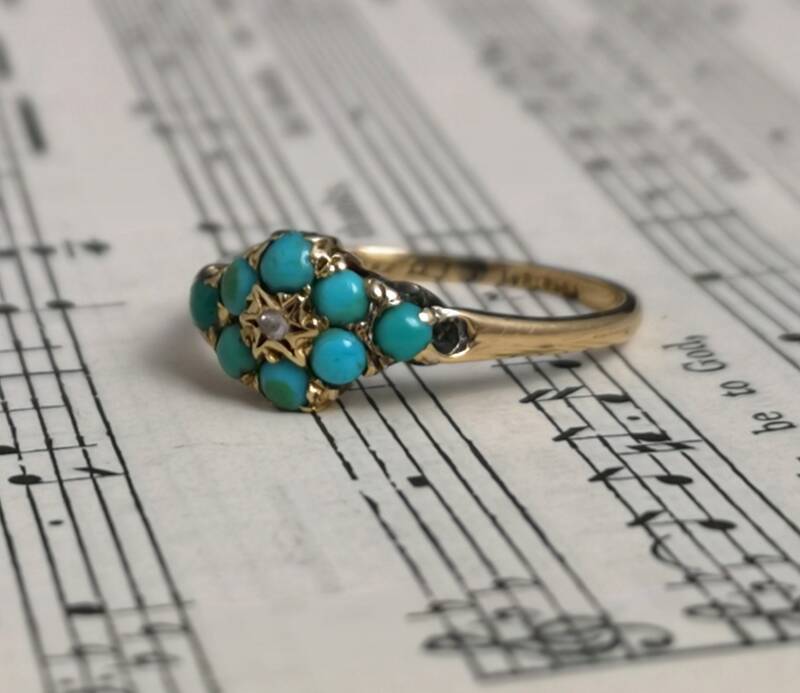 A beautiful late Victorian diamond and turquoise forget me not ring. 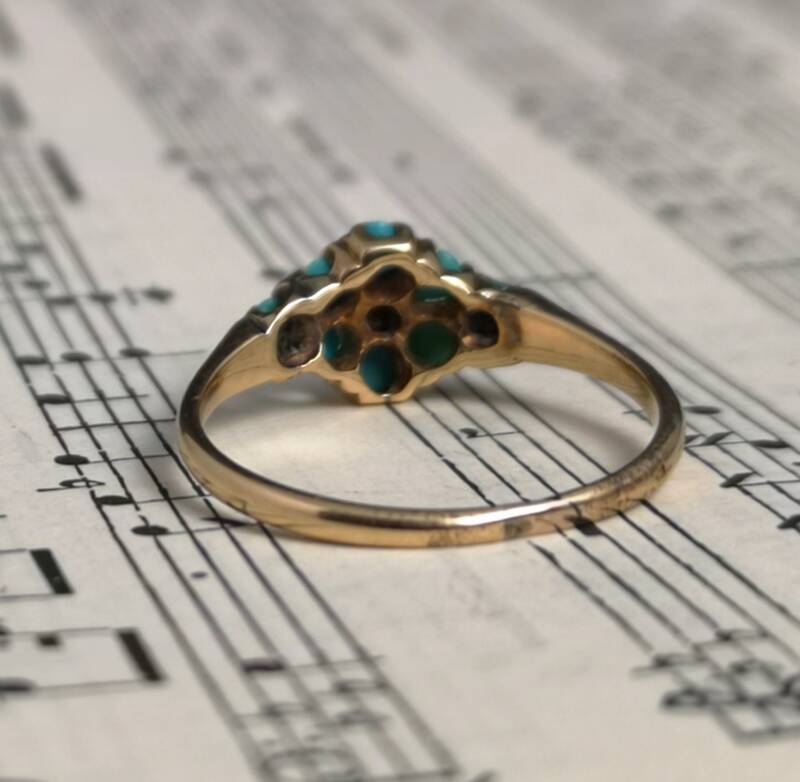 18ct gold it is set with round turquoise with varying gradients with a central cut diamond, this forms the flower and there are two further turquoise set either side. 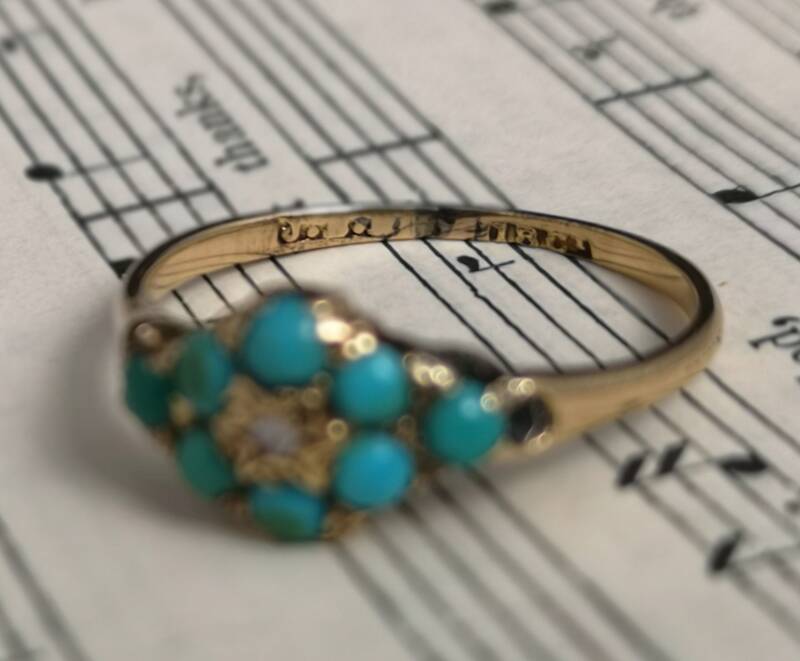 The band is simplistic and elegant with small cut out details either side which frames the setting nicely. 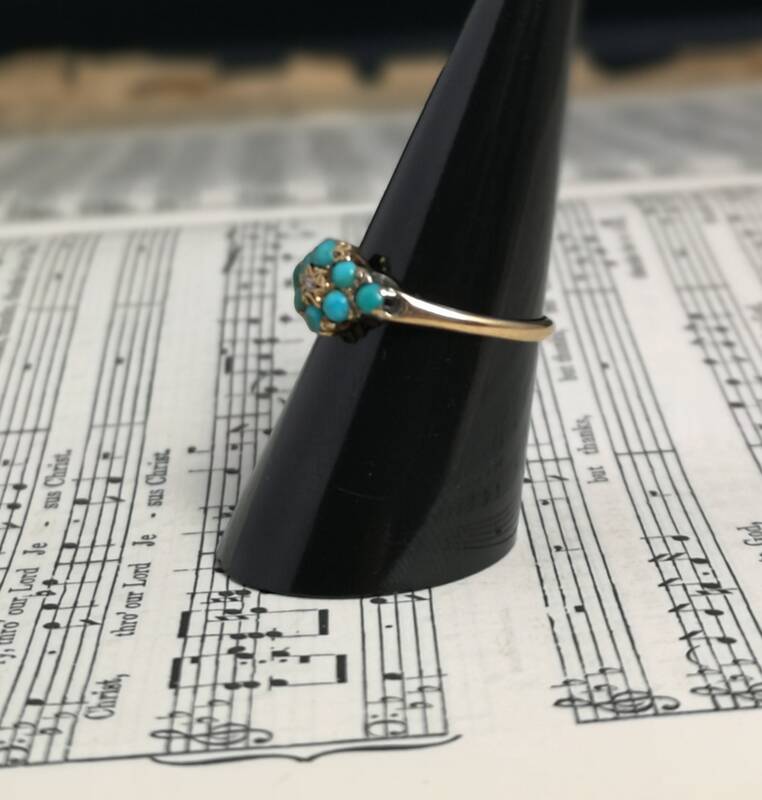 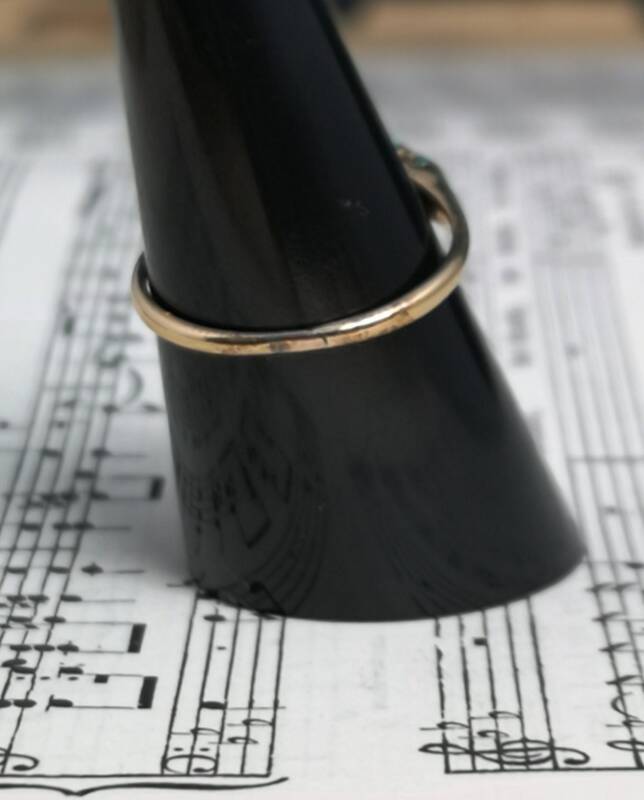 Stamped to the band with 18ct and makers mark which is worn. 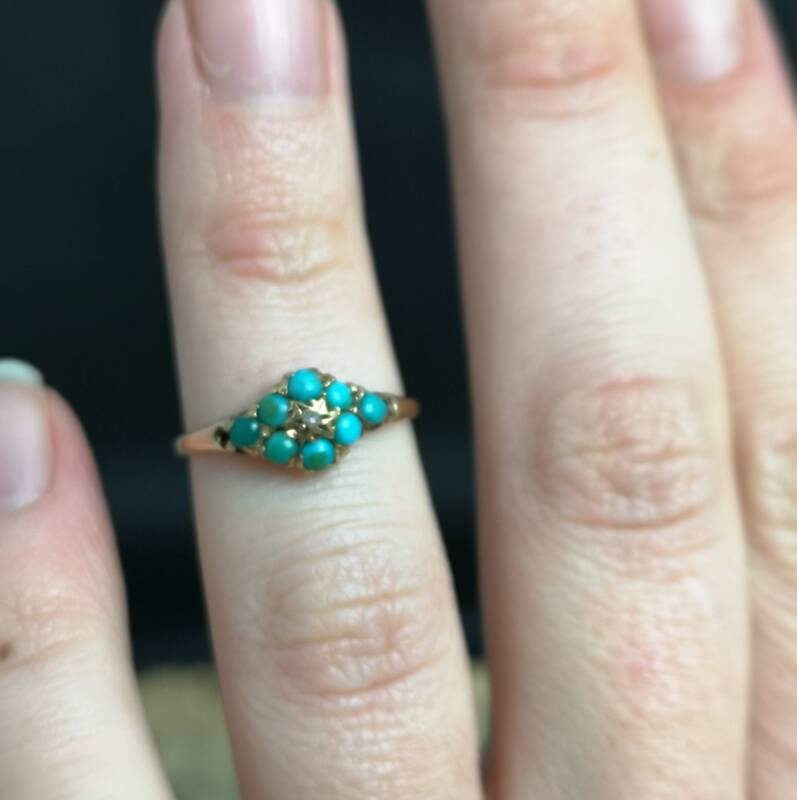 Condition is good overall, has been resized in the past.